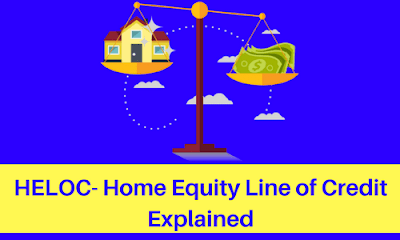 A home equity loan is also known as "HELOC"
A home equity line of credit is a loan in which a lender agrees to lend a maximum amount within a time period, where a security is the borrower's equity in his home like a second mortgage. A home equity line of credit is like a credit card because in home equity line of credit a borrower is allowed to borrow up to a certain limit by the lender for a specific time period. In home equity line of credit is more flexible than home equity loan. A home equity line of credit is a line of credit which is extended to a homeowner that uses a borrower's home as a security. Borrowers are pre-approved for a fixed spending limit based on income and credit record and may draw on this limit at their choice. An interest is charged at a pre-planned changed rate, which is normally based on current rate. If there is a balance owing on the loan an owner can select the repayment plan, as long as minimum interest payments are made monthly. The time period of HELOC can be between five years to twenty years and completing the period the remaining amount is to be paid fully. An interest is paid just on the real amount borrowed and it has no closing cost. A home equity line of credit is a line of credit secured by owner's home which gives you a revolving credit line to use for big expenses or to connect higher interest rate debt to other loans like credit cards. HELOC has a lower rate of interest as compared to other loans and an interest charged is generally deductible under income tax rules. If Your house has an appraisal value of Rs 10,00,000 and home equity line of credit is available to 80% of value that is 8,00,000 and if you have borrowed Rs 5,00,000 so now you are only eligible to draw up to Rs 3,00,000 as a home equity line of credit. In home equity line of credit, a borrower set an amount with an interest rate and make equal payments for the whole loan term which may be from 5 to 30 years. A period in which a borrower can draw an amount like for the first 10 years and once the draw period ends a borrower cannot borrow after that period. A period in which repayment of the loan amount is done like last 20 years. In repayment period, an amount becomes higher because it includes amount plus interest. At the end, if the amount becomes large enough and the borrower is not able to pay a loan amount. In this situation, a borrower becomes a defaulter and he can lose his home which is put as a security for a loan.